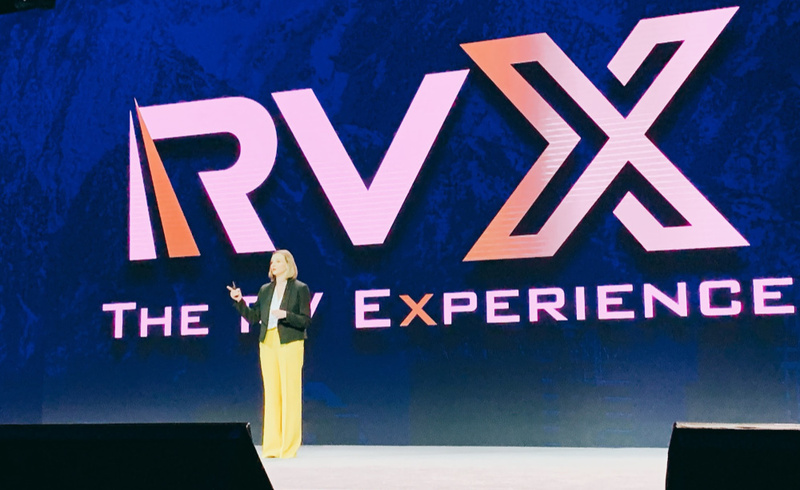 I was invited by GoRVing to attend RVX and learn all about the new launches when it comes to RV brands, as well as what’s in store for campgrounds in the US! 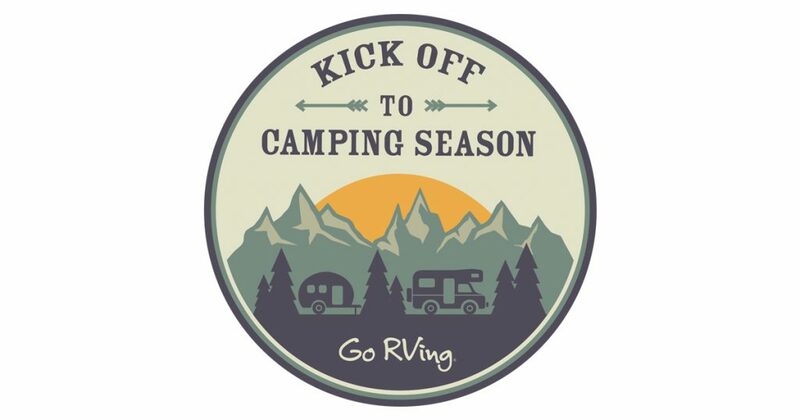 Designed to ignite consumer interest and drive traffic to RV dealers nationwide as the spring/summer vacation season approaches, Go RVing has launched a new multi-million dollar Kick Off to Camping Season campaign that will run February through mid-July. 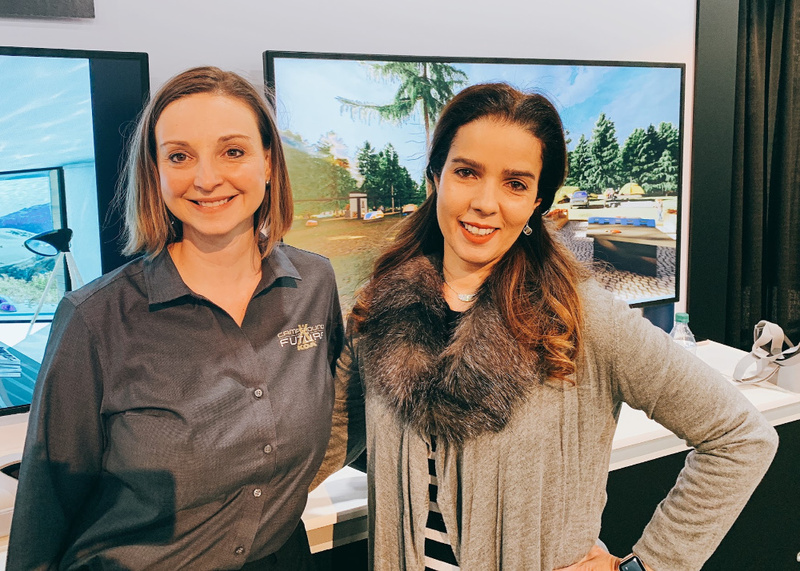 Combining digital and traditional ads with RV dealer point-of-purchase materials and public relations, the local tie-ins will amplify the message and further increase consumer awareness. I must confess, it put me in the right mood! I can’t wait to go camping! 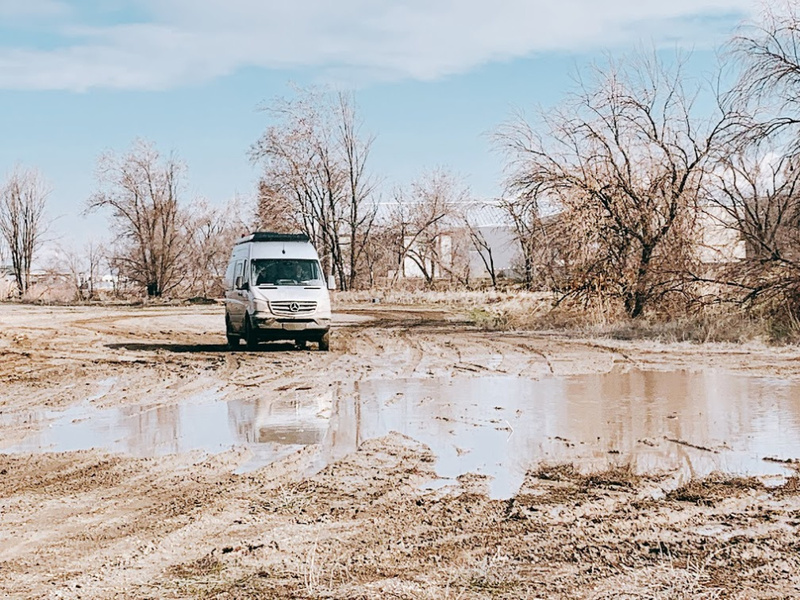 My Journey started heading to get down and dirty with Winnebago, where we previewed and drove the new REVEL and tested its capabilities in mud and tough conditions! Happy to say that it not only passed the test but it also offered a new #VanLife option for campers where you have the capability of a robust engine, tech gadgets and considerable comfort inside as well! 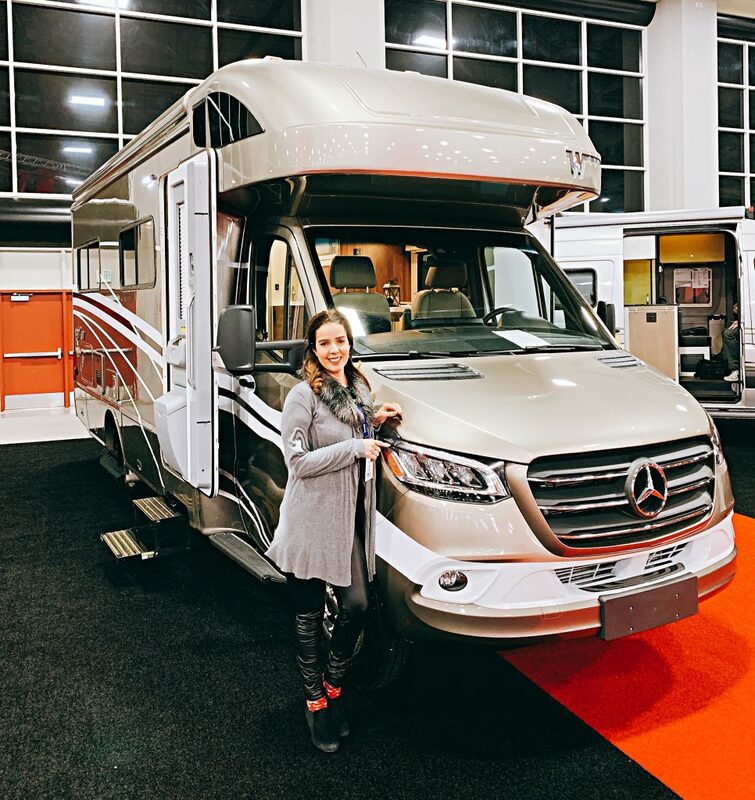 Designed specifically for active outdoor enthusiasts, the all-new Winnebago® Revel takes a no-nonsense approach to adventure, with a straightforward design and function-driven features. 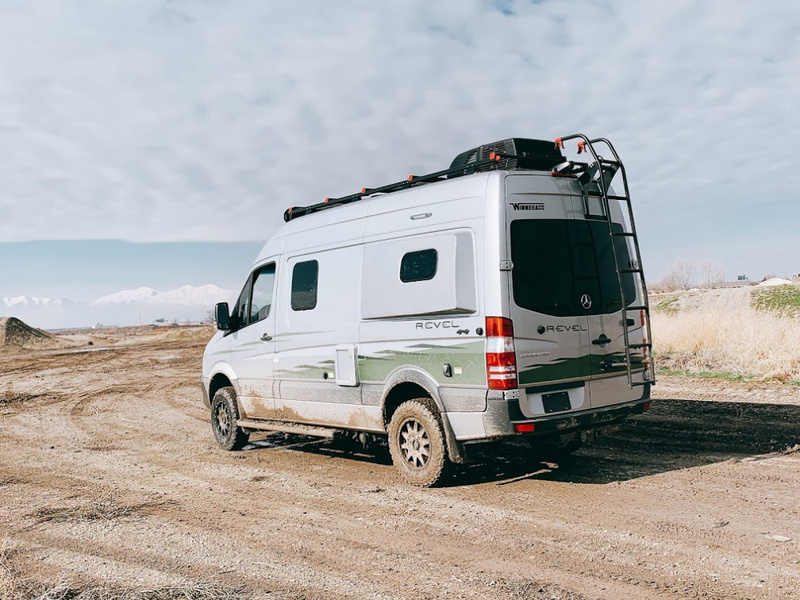 Taking full advantage of the proven 4×4 Mercedes-Benz® Sprinter chassis, the Revel’s 3-liter turbo-diesel puts 325 lbs./ft. of torque through an on-demand 4WD system, complete with high/low range mode for added off-road capability. Inside, the Revel’s unique features start with a floor plan designed around a 140-cu. ft. gear garage with a power lift bed. A full galley, including a 2.5-cu. ft. compressor refrigerator, makes meal prep a breeze, while the all-in-one wet bath and gear closet boasts a cassette-style toilet that eliminates the need for a separate black water holding tank. 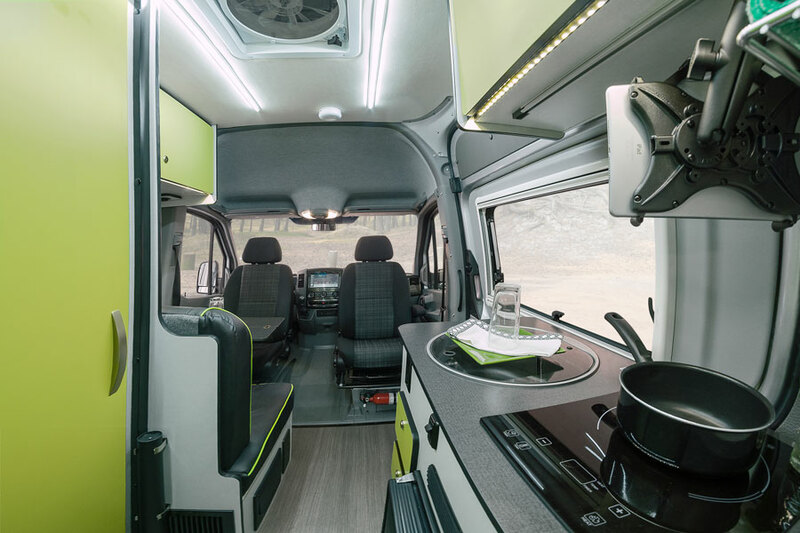 Add a standard 200-watt solar power system, diesel-powered heating, a dinette with a pull-up table that converts to additional sleeping space, and many more innovative features and the result is the new Revel: quite simply the most off-road capable RV Winnebago has ever built. 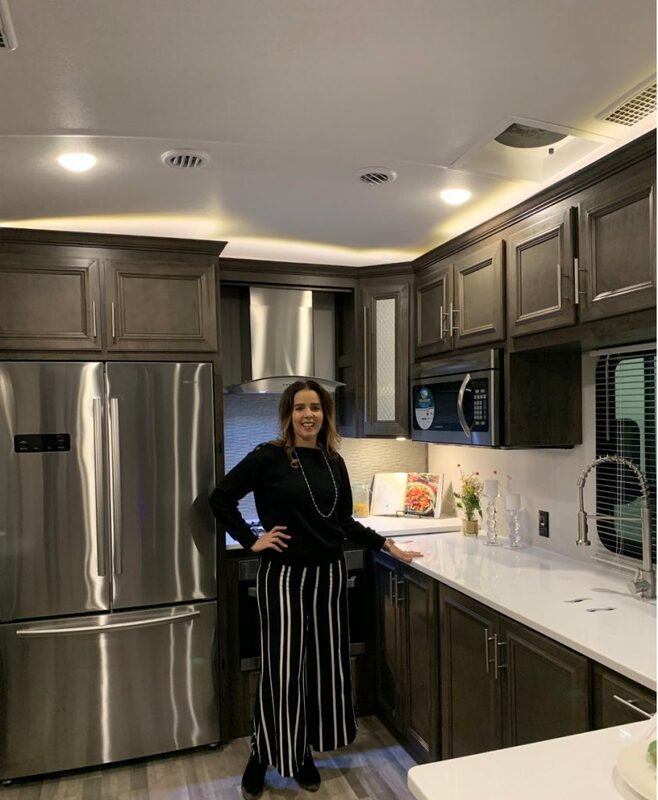 Winnebago also presented some trendy looks for one of my favorites, the MinnieWinnie and the Vista which is a new version of my first ever RV loan! 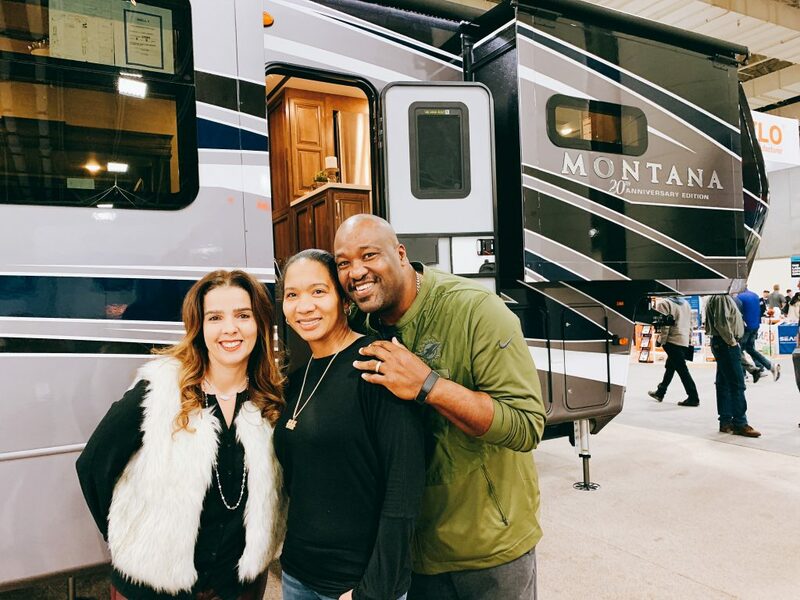 I was impressed by the RVS presented by this brand at the Reveal and wanted to share some of my favorite moments checking out their RVS. KOA’s presentation was one the event’s highlights for me with a robust understanding of the market and future market forecast having diversity and latinos centerstage! What’s not to love?? I had a chance to interview Keith and Tia Sims whom you saw in our first video. 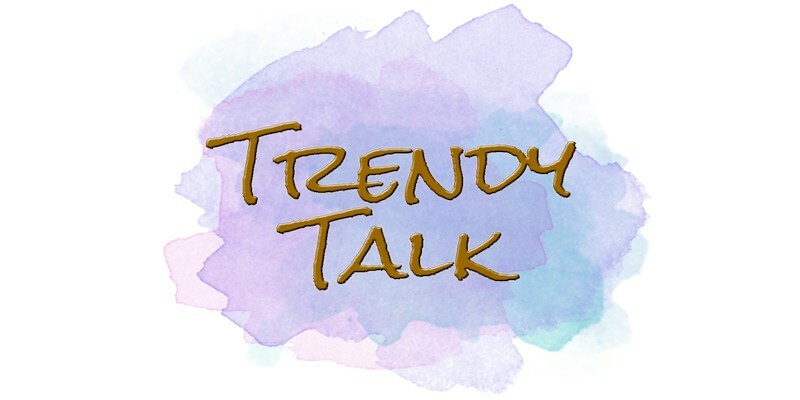 We talked about their partnership with KOA to bring diversity and Camping Lifestyle to their community and KOA following and platforms! They are absolutely adorable! The conference inspired me to camp even more and plan more family times enjoying the outdoors! Just curious: have you ever gone camping? 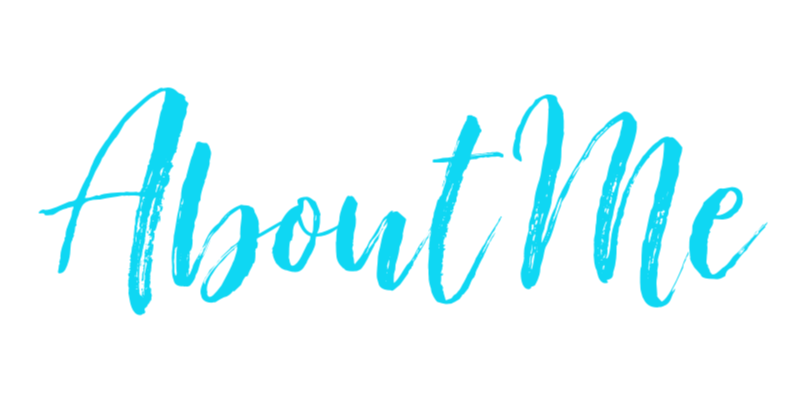 I can’t wait to share my camping adventures later this year! Taking my teen to explore new destinations in the US is something I’m truly looking forward to! I think camping like this would be the only way I’d like to go! Seems like a wonderful option that’s a little less rough! I have never gone camping, but I would love to if I have a fabulous RV like that. 🙂 Hope you and your family have fun camping. I need to show this post to my husband. I am sure he will love this! I would love to travel with RV! 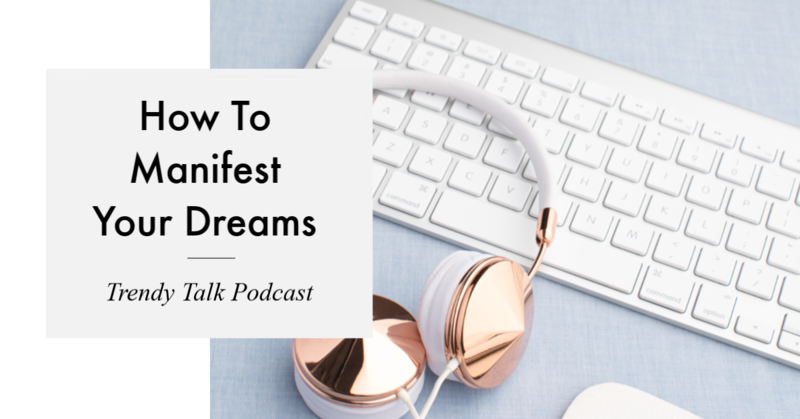 Sounds wonderful and less stress! I am sure my husband will love this idea. I haven’t gone for camping lately This looks great with awesome kitchen. As a kid I always wanted an RV. 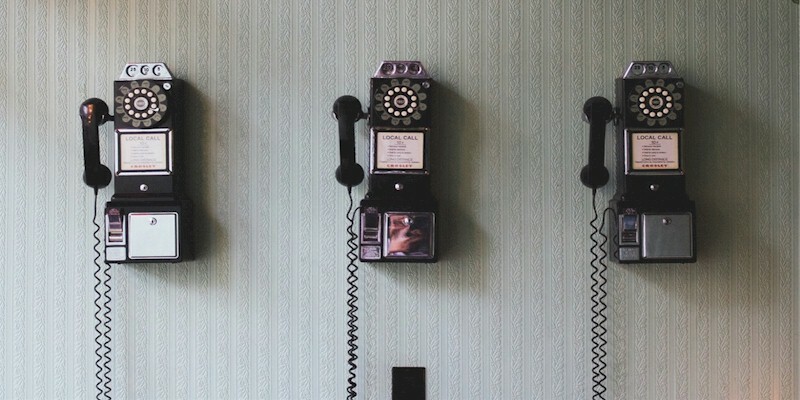 Seems to out of reach but I now see you can rent them too. I think it would make some awesome family memories. I love camping! We spent a large part of my childhood in a VW camper and then got a bigger RV. After getting married, my husband and I used to go to tent camping a lot. But now, we want real beds. I’d love to camp in an RV again. What a great campaign and a way to get excited about camping season. I’ve been going camping since I was born just about. And now that I’ve had my own family and they’re all grow, I still go camping, just alone these days. how fun is this and i would def want to go camping if it involved a great RV like this- glamping at its finest! I used to camp all of the time as a kid, my best friends parents owned a camper and we took it everywhere. As an adult I’ve gone once when we were on a float trip. It’s not my favorite, but I’m sure my kids would love it. I think this would be an amazing way to get out and explore the world. They always look so comfortable to be in as well a real home on the road. We used to camp all the time. Then I got older and couldn’t live without a fan. Ha. Then I wanted my own bathroom. I did love KOAs thought, they were our go-to campground. I don’t think I’d want to camp, but I would be all about glamping. I just need a real bed and proper food in order to be happy.